The deposit of $50.00 is due at the time of booking the session. Half the session is 1st Birthday portraits, the other half is the cake smash. Larger collections, additional print sizes and albums available upon request. Portrait Session Children Portrait, Family Portrait, Maternity Portrait or Senior Portrait Session – This session is up to 1 hour, in studio or on location. Up to 1 hour session including, 20-30 (sometimes more) digital proofs that will be available for you to view in 10 – 15 days at a viewing session or in an online gallery. Holiday Portrait Session – Special pricing will be listed in July. Location Mini Sessions – Will be posted on the blog and Facebook. Please inquire for an extensive pricing and product list. Follow me on Facebook for a sneak peak of your photo session and pricing specials! 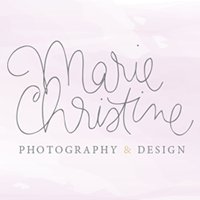 Email marie@mariechristine.co or call 631.433.7627 with any questions.